CHANGSHA, China, March 22 (Korea Bizwire) – Ten thousand Chinese police officers will be present at a football stadium here for security reasons when South Korea and China play their World Cup qualifying match this week, the national football governing body said Wednesday. The Korea Football Association (KFA) said the Chinese authorities have decided to mobilize 10,000 police officers at Helong Stadium in Changsha in central China’s Hunan province, where South Korea and China will meet in the World Cup qualification Thursday. Both South Korea and China are in Group A, along with Iran, Qatar, Syria and Uzbekistan, in the final Asian qualifying round for the 2018 FIFA World Cup. South Korea and China will clash amid growing tensions between their governments over the deployment of a Terminal High Altitude Area Defense (THAAD) battery. In what appear to be retaliatory actions over Seoul’s decision to install the U.S. anti-missile system, Beijing has banned sales of South Korea-related tour packages and cracked down on business operations of some South Korean companies. 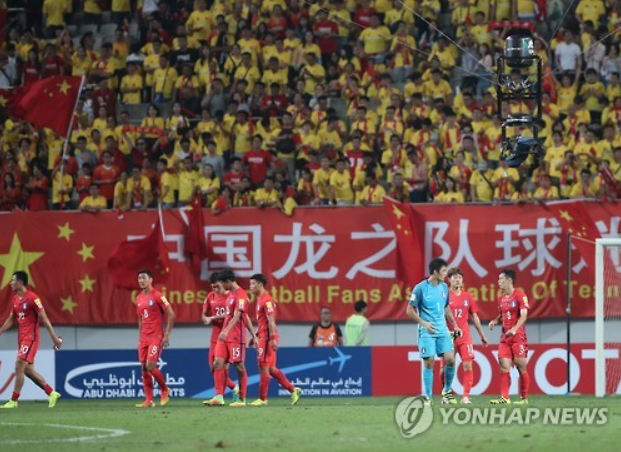 Concerned about possible hate crimes against South Koreans, the KFA previously asked its Chinese counterpart and the Asian Football Confederation to designate a zone for visiting supporters and increase the number of security personnel. The South Korean embassy in Beijing has also issued a safety warning to football fans planning to attend the World Cup qualifier. The KFA said Helong Stadium has a maximum capacity of 55,000 fans, which includes standing room for 15,000, but the Chinese authorities will allow only 31,000 people to enter the stadium on the match day due to security concerns. They will also provide 10,000 police officers to prevent any violent incidents between South Korean and Chinese supporters. 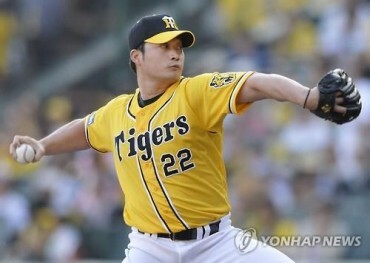 In 2004, a South Korean got injured after getting hit by a water bottle thrown by some Chinese fans during an Olympic football qualifying match between the two sides at Helong Stadium. The KFA said South Korean supporters have been given 250 seats, and the police officers will be protecting the visiting supporters. Chinese players will wear red jerseys in the match, while South Korean footballers will don white uniforms.